When you're on a diabetic diet, it can be frustrating to feel limited in what you can and can’t eat. Especially when all you want is a gigantic ice cream sundae. But not to worry—even if you’re on a strict diet plan, there are still tasty things you can enjoy! Although both dairy and fruit are on the higher end of the glycemic index, if you’re really craving something, fruit is a good way to get the taste you crave while not sending your blood sugar through the roof. Plus, fruits have a ton of fiber and important nutrients, like vitamin C. Getting your carbs from both of these sources ensures you aren’t just eating empty calories. If you're looking for variety, these sorts of snacks come in a number of flavors. Rice cakes are high in the fibers and good carbs that people with diabetes need, but the caramel coating or cinnamon apple flavoring breaks up the monotony of whole grains. Graham snacks, like Teddy Grahams or graham cracker bites come in small portions, which means they won't cause a huge sugar spike. Newton fruit thins also have a healthy grain base, in addition to fruit flavoring, which make them another excellent choice. 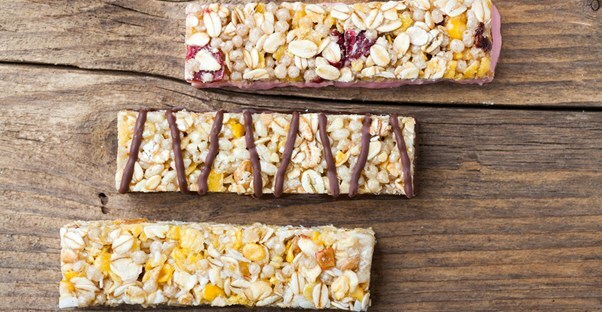 Cereal and other granola-type bars are made to be healthy snacks to begin with. Be careful though; not all bars are created equal. Brands like Kashi usually have options that are mostly nuts and dried fruits, which means you’re still getting the good carbs, along with the right kinds of fats. The granola bars that are dunked in chocolate and smothered with peanut butter probably aren’t good options in comparison, as good carbs can only do so much to make up for a ton of sugar. When choosing snacks like these, look for foods made specifically for people with diabetes. Snackwell and Fiber One bars are made smaller, to keep portion size in control, and still have the delicious chocolate taste, despite being formulated for lower carb values. Sugar free cookies and candies use artificial sweeteners or sometimes fruit juices to give them their flavor, which makes them safer than a bag of normal cookies. There are lots of other options to include in your diet. The important thing is to pay attention to how many carbohydrates you’re actually ingesting.